Today I’d like to introduce an often-overlooked feature within SAP Analytics Cloud called Smart Insights which, in conventional SAP naming standards, is exactly what it sounds like. Smart Insights gives you time back in your day by allowing the Analytics Cloud to become more intelligent and provide insights to you in an automatic way in natural language. Think about your typical BI workflow for a moment; you load data, massage it, and then start your analysis through visualizations and interaction through filters, drill, grouping, aggregating, etc. But the caveat, you’re coming in with a business question you want to answer. What were my sales in 2017? 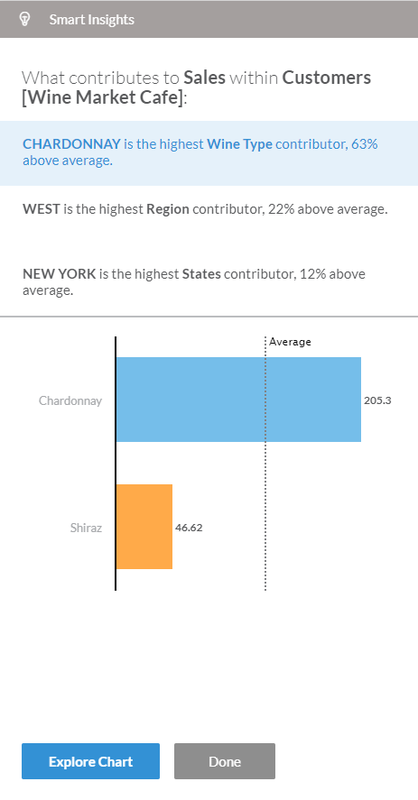 How did costs impact my profit margins? But in this day in age, we have hundreds of gigabytes and often terabytes of information and we can’t possibly think of all of the questions to ask our data to get the most value out of it. Enter Smart Insights in SAP Analytics Cloud. Now first and foremost, as I know this question is at the top of most reader’s minds. How much does it cost? It does not cost anything on top of your existing BI User License! That’s right folks, the all-weather mats come with the car! Smart Insights allows the user to focus in on any data point within various chart types and make use of the predictive algorithms natively built into SAC (SAP Analytics Cloud) along with the natural language processing abilities to present new and interesting facts to the end user in an easy to consume manner. Think of it as a data discovery tour guide that lives in SAC and points out cool and interesting factoids as you journey through your valleys of dimensions and mountains of measures, automatically bringing information to you rather than you having to search for it. This ladies and gentlemen, is where we now start to the see the marriage of traditional BI with modern artificial intelligence to bring us intelligent analytics that tell us a story. Let’s look at how this works in SAC. The chart above is a perfect example of visualization i may use when begining my analysys of my top 5 customers and this was generated in the Analytics Cloud Data View. Again, a very pointed question and a chart to answer that question. But what you may not have known exists here is your personal data assistant. Simply clicking on a data point on the chart reveals several options to me, the ability to filter, excluse, break and interesting…a lightbulb icon. 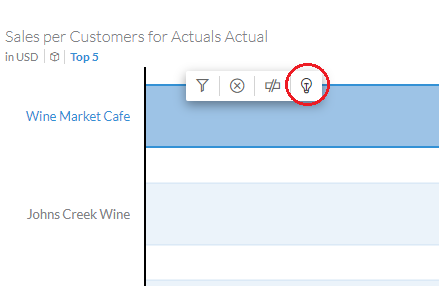 This lightbulb is the Smart Insights feature and selecting it on the menu will allow SAC to perform some learning on your dataset and present some facts in a slide out panel that appears on the right. In our example, we can see that key influencers on Sales Revenue and my customer World Market Cafe were automatically detected, and those data points that impacted both the measure and my selected dimension were brought to my attention in an easy to read format that allows me to quickly understand what is being presented. 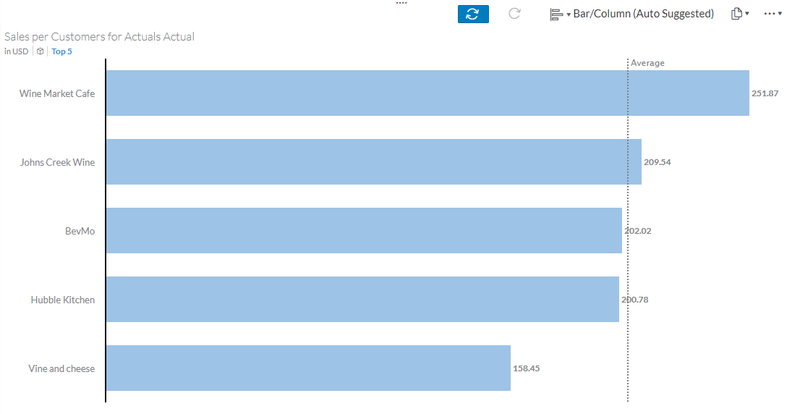 Using the Explore Chart button, expands the chart into my data view with all the selections and filters intact from which i can then choose to use it to perform additional exploration, or simply incorporate it into my story. There you have it! There’s a saying that goes “you don’t know what you don’t know” and that’s certainly true when it comes to analyzing your data. You don’t alway’s know what interesting information you’ll find until you start exploring and having your Smart Insights at your finger tips makes that exploraton process alot quicker and lot easier! 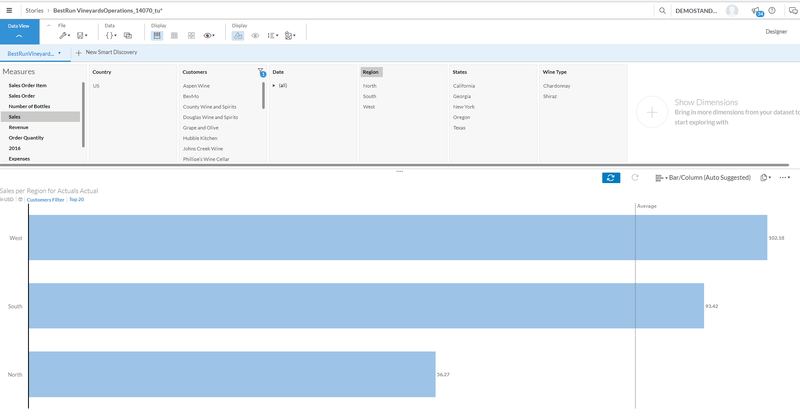 So the next time you’re working with your data in SAP Analytics Cloud, take your personal data assistant for a whirl and see what cool new nuggets of information you may end up discovering! I’m going to start asking this question more often. Can’t the same thing be achieved on-premise? Thank you for the good graphics, and examples! Hi Michelle, are you referring to the classic on-premise products such as Lumira or WebI? If so, then no it can’t be done in any of the on-premise tools today. The “Did you know” feature is actually driven by predictive algorithms in the backend that comb over your data and find the relationships in the data points to create the insights that are displayed. While these can certainly be gleamed from SAP Predictive Analytics, it hasnt been built into the on-premise tools yet. I would love to see our on-prem tools adopt the same predictive mindsets though!